Every business faces a wide variety of risks. From natural disasters to cyber attacks, no business is immune. This doesn’t mean you can’t manage your business risks. In fact, understanding risk management and planning accordingly is just as important as having a detailed business plan. To keep your business growing, you’ll need to find the best ways to manage risks and prevent them from hurting your business. This is your first step. After all, it’s hard to make plans on how to manage and possibly avoid risks if you don’t know what your risks are. Start by considering all the possible things that could affect the business’s security, safety and financials. For instance, any business is at risk of being robbed or vandalized. Every business is at risk for certain natural disasters. And, every business faces the risk of cyber attacks and embezzlement. While it might sound like a dour situation, knowing is half the battle. To make this part easier, consult with other businesses that already have risk management plans in place. It’ll give you an idea of where to start. Also, consider dividing your risks into categories. Many risks can be managed in a similar manner. Now that you know what your risks are, it’s time to create a plan to manage your business risks. Yes, this part is time-consuming, but should a risk scenario happen, you’ll be glad you prepared in advance. For instance, what if the first floor of your business catches on fire? Do employees know what to do and how to exit from other floors? You need plans in place to consider the safety of employees, determine who’s in charge during specific risk scenarios and what to do after a risk’s occurred to get your business back on track quickly. It’s all about being prepared for potential emergencies and not being caught unawares. Your security team is an invaluable resource when you’re trying to manage your business risks. They are trained in how to handle a wide variety of situations. As such, they can help you create detailed plans and even head up plans should the worst case scenario happen. Of course, you should also use their expertise to help prevent risks. You might think your building is secure, but their trained eyes might pick out several major security flaws. The next step is to figure out ways to limit the possibility of business risks. For instance, help prevent theft and vandalism by having a security team and surveillance cameras. While you can’t prevent natural disasters, you can prepare for them and reduce their impact. For instance, adding more fire extinguishers could help ensure small fires don’t turn into major ones. Adding cloud backups ensures data isn’t destroyed during a flood or fire. The more ways you limit your risks, the better. Once again, let your security team help you through this process. Finally, you have to practice your plans. Set aside time to go through all your plans to ensure they actually work. After all, you wouldn’t want to create an evacuation plan that just creates a massive bottleneck or doesn’t take in to account potential blocked exits. Even though practice does take time, it reduces the potential of a risk becoming catastrophic. Employees will know what to do should the worst happen. If you have customers/clients, employees also know how to get them to safety too. Make sure to review your plans periodically to keep them up to date. For instance, moving to a new location or doing a re-model could drastically change your risks and your risk management strategies. Are you trying to make plans to better manage your business risks? 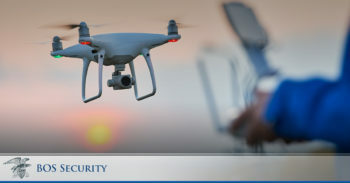 Contact us today at 404-793-6965 to find out how our security services can help you take more control over your risks. Our free Security Needs Assessment also helps you to figure out some of your security risks. Request one today!